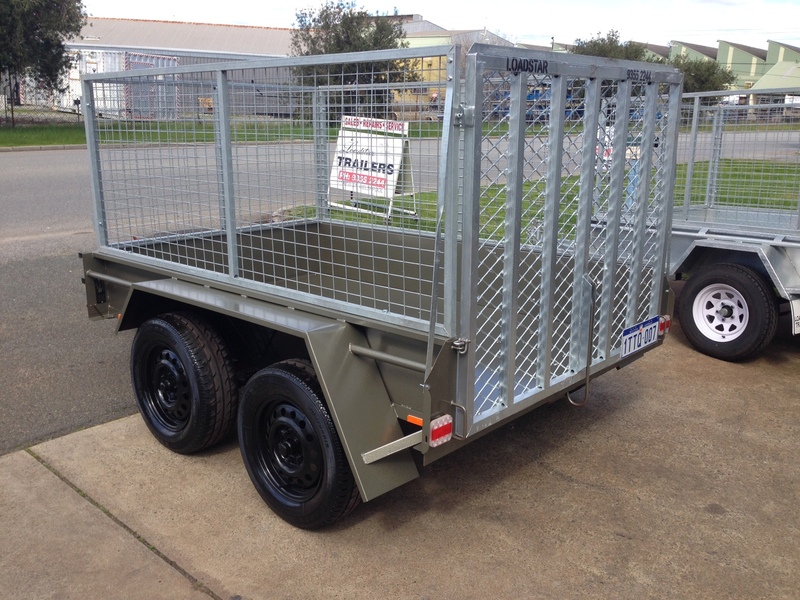 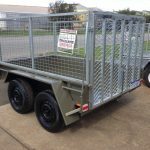 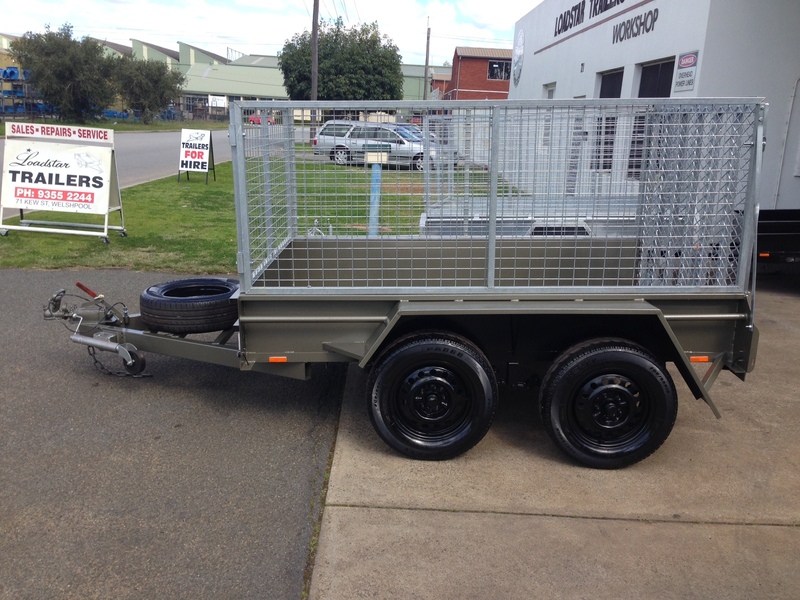 Our heavy duty Australian made trailer designed to be used to allow items to drive or roll up the rear ramp. 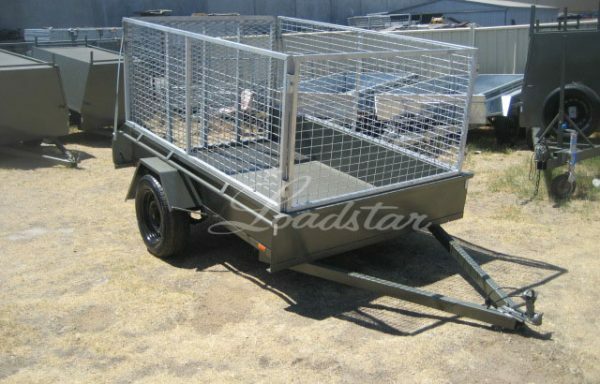 The cage and ramp are galvanised whilest the trailer is custom designed to be lower to allow the angle of incline of the ramp to be lower for ease of use. 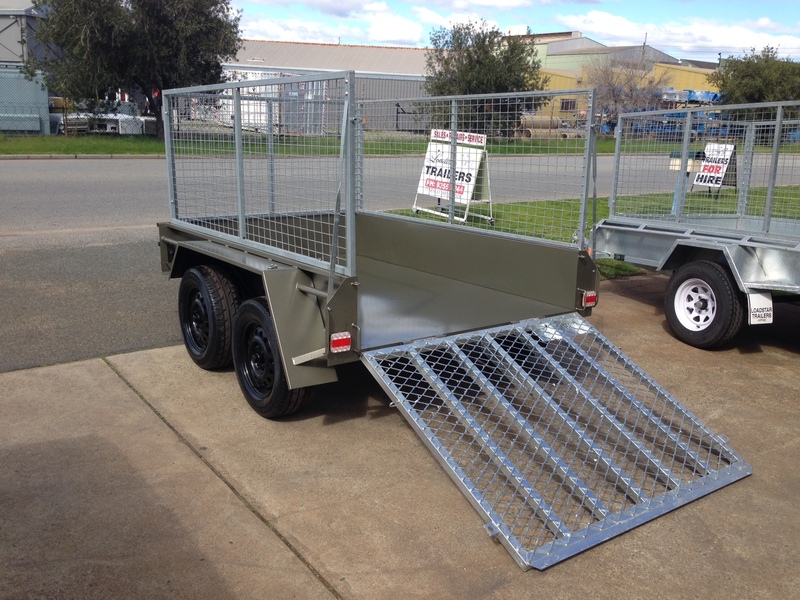 The ramp is a heavy duty design and is pinned into place with heavy duty hinges. 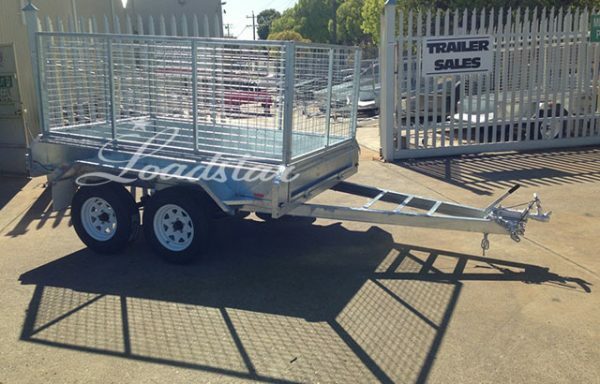 The coil spring at the rear helps with ease of lifting the rear gate. 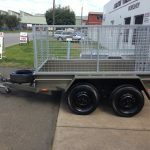 The cage and spring loaded rear ramp can be added to any trailer and built to your specifications. 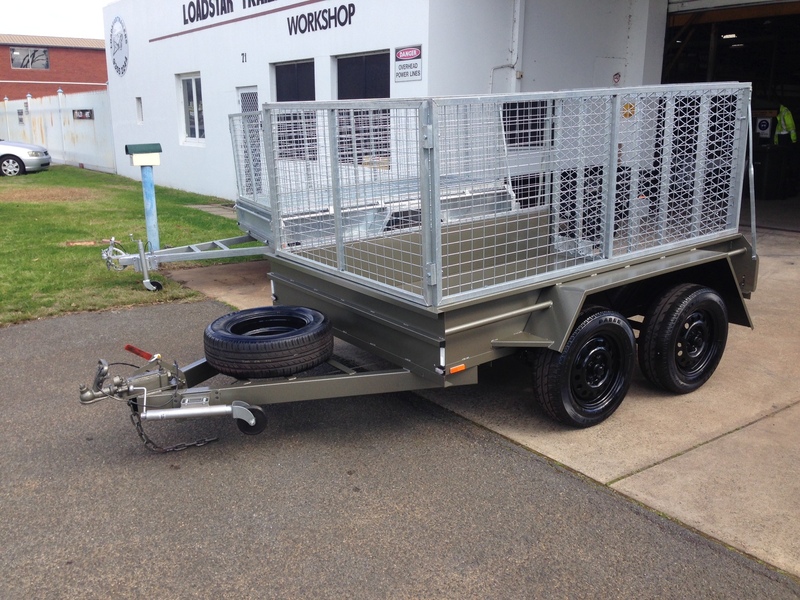 Optional extras like spare wheels fitted and swivel jockey wheels can be added. 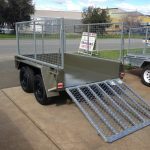 Ramp is RHS framed, walk meshed and is galvanised.